Round and square cafeteria tables are sure to brighten up and lunchroom. 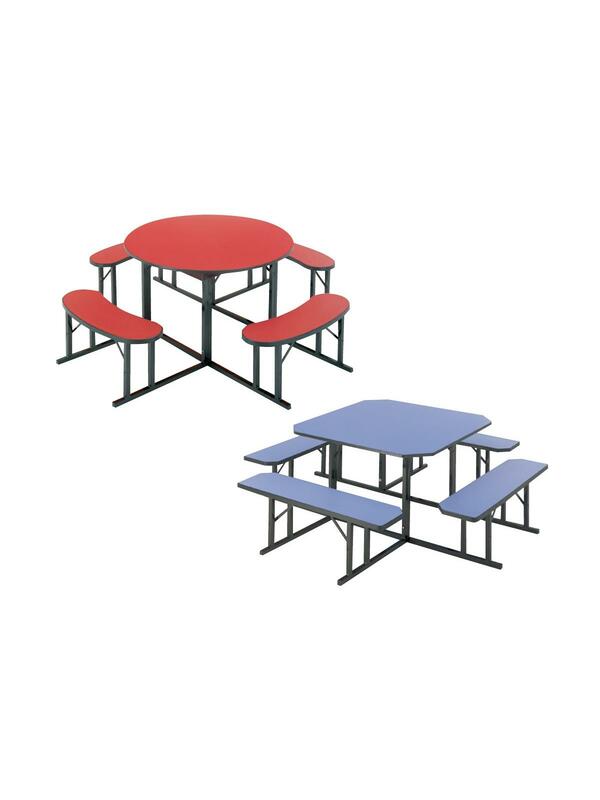 Tabletop and benches are laminated with high-pressure laminate that resists stains and scratches for years of dependable use. Tops are 3/4" thick, benches are 1-1/4" thick. Tabletops and benches have protective black edge. Benches have extra bracing to insure sturdiness. 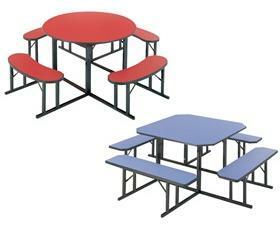 All tables have adjustable glides. 30" overall height. Assembly required. Baked Black enamel paint standard. Available in Red, Blue, Yellow, Green, Black, White, Gray Nebula or Walnut. FOB Shipping Point.